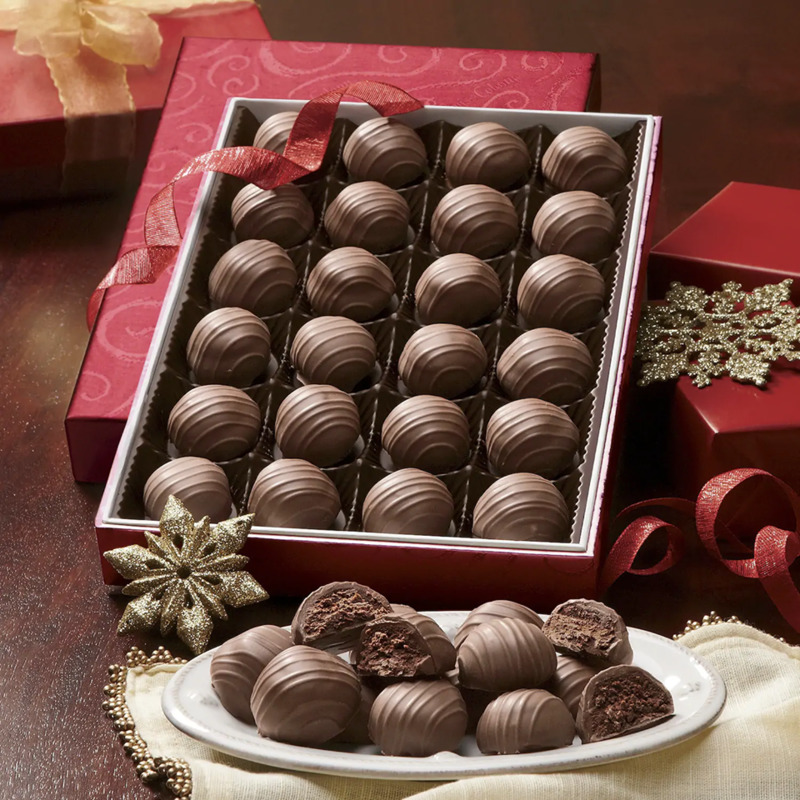 I placed my Christmas order for chocolates, as I do every year, with Swiss Colony. In the 35 years I’ve been ordering from them, they’ve always been punctual, with the exception of twice. I called on a Saturday and spoke to customer service to ask where my order was. Me: I see by the tracking that it’s in Atlanta, Georgia and has been for the past ten days. The Christmas party is this coming Friday and I need some of those packages by Thursday night, four or five days from now. SC: Let me check your tracking. Can you give me the order number please? (I gave my order number, verified my address, and type of payment.) Yes, I see your order. What did you need to know? Me: It was supposed to be here by the 15th. It’s stuck in Atlanta so I wanted to know what was going on. SC: It’s in Atlanta, Georgia from what I can see. Me: I said that already. I know where it is, but I want to know why it is there and not here. As I said, it’s supposed to have been here by the 15th of December. SC: I don’t know why it’s there. You are the fourth phone call today about missing packages and all four have been stuck in Atlanta. I’ve already given out three free orders today and I’m not giving out another one (she said this with more haughtiness in her voice than I cared to hear). Sensing a challenge – Me: Well, it looks like you’re giving out another one then because I need some of those things by Thursday for the Friday Christmas party. SC: Something is going on in Atlanta, and they’ll probably be there by Monday. If not, just give it until Wednesday and then call us back and we’ll send out another order. Me: Oh, so you’re going to Overnight Express them to me if I don’t have them by Wednesday? SC: Overnight Express? No, that costs way too much money. They’ll come regular USPS. Me: I just told you, twice, I need them by Thursday so if I have to wait until Wednesday for you to send out a replacement order, then you’ll be over-nighting them to me. What is your name again? SC: Hold on. I’m going to put you on hold for a couple of minutes and try to figure this out. I can tell she’s perturbed. She has so much attitude that I just want to tell her off. However, she’s holding my goodies hostage so I bite my tongue and just remain firm with her. She comes back on the phone – SC: Did it snow down there? As if she’s trying to prove something to me, she says with a full-blown attitude – SC: Where? Me, confirming what she already knows: In Atlanta. SC: That is what the hold up is! You’re not used to snow in the southern regions and it’s held up the Atlanta post office. I’m NOT sending a replacement order! Me: Excuse me. I’m in South Carolina. It snowed in Atlanta YESTERDAY, meaning my packages have been in Atlanta for ten days BEFORE it snowed. Are you telling me they knew it was going to snow ten days in advance and closed everything down until after the snowstorm passed? (10 second pause) SC: Hold on. I wasn’t put on hold so I can hear her talking to a supervisor or someone over her. I cannot hear what they’re saying, but the other person does not sound happy. I mentally dared whomever to be upset with me. I was already dealing with this person’s unhappy tone; I was not going to put up with another. SC: Okay, we’ll send out a replacement order. They’ll prepare it tomorrow and it will go in the mail on Monday (As if it were an afterthought, she snaps), and we’re not sending the free gift with it, either! Me: That’s fine; I just want the other packages that I have as gifts. SC: Fine. Your order should arrive no later than Wednesday. If your original order has already arrived, call us back and let us know. You can either return the replacement order or we’ll just bill you for it. The original order arrived Tuesday night as the post office had extended their delivery times due to it being the Christmas holidays. The replacement order came Thursday afternoon. I did not call Swiss Colony back, either. They could tell by the tracking both packages had arrived. In all of the thirty-plus-years I have dealt with them, I’ve only had to request a replacement order once because the post office lost the package. In the thirty-plus-years with them, I have never, not once, dealt with one of their customer service representatives with that attitude. Swiss Colony, not only has the finest chocolates and deserts, but they’ve always had the finest people working for them, except that one. I will not judge them for that; they are way too awesome. I’m pretty sure the other person I heard in the background took care of the situation anyway.